The String Cheese Incident will once again be hosting its annual bash out at Hornings Hideout in North Plains, Oregon. 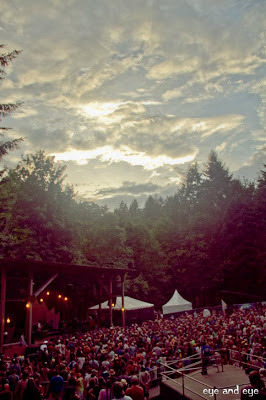 With three nights of Cheese (and, of course, Eoto), plus many more, August 1-4 is sure to be a great weekend in the woods. A limited amount of weekend passes are still available, but only on specific dates. The two remaining sale dates for this year's festival are June 1 and July 1. For directions to Hornings Hideout go to its website, which warns not to use a GPS because it will take you on the wrong roads. For more beautiful photos click here.